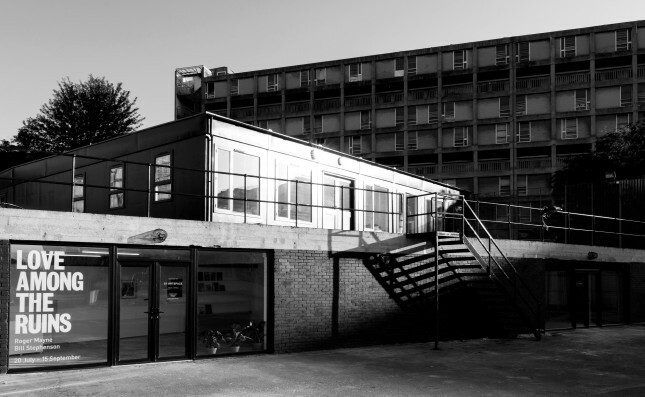 S1 Artspace is based at the Park Hill estate in Sheffield. ON FOOT: From the train station, go up to the platform bridge via the stairs or lift and exit at the rear of the station following the tram signs, cross over the tram tracks and walk up the hill on your left that slopes up towards Park Hill (5 mins total) not the steps. Once you get to the top of the hill, turn left down South Street following signs to the Urban Splash Sales Office. Walk through the cut-through to the Sculpture Park Hill landscape and we are located at the far end which you’ll reach by following the gravel path up the steps. BY ROAD: From the M1, leave at Junction 34 following signs to City Centre. For sat navs, please use postcode S2 5QX for Park Hill. There is limited free parking available around Park Hill and pay and display bays available within the car-park off Duke Street. TRAIN: Sheffield is just over 2 hours from London and less than an hour from Manchester, Leeds and Nottingham. From the train station, exit the rear exit at the station and walk up the hill veering left towards Park Hill. 7 minute walk. BUS: S1 Artspace is served by buses on both Duke Street and Talbot Street. From the bus station go through the main train station, take the rear exit and walk up the hill that veers left towards Park Hill. 7 minute walk. TRAM: The nearest tram stop is ‘Sheffield Station’ on either the blue or purple route. From the tram stop you will see Park Hill. Walk up the path that veers left up the hill. 5 minute walk.